A year ago, you would find me, a freshman, scrambling to decide whether to join this club versus that one, whether to eat at West Side Dining or East Side Dining. My biggest question, however, was how the heck am I going to eat, join clubs, study and hang out with my friends all at the same time? As it is, the university is increasing the amount of students it takes in every year. With more freshmen than ever pouring onto campus, they all need the best advice they can get on how to adjust to our university. Well…at least before they don’t get the advice they need and decide to transfer. Going into the second week of the semester, my fellow editors and I thought it was a good time to share our hard-won experience on how to handle life at Stony Brook. To answer my freshman self’s question a year later, time management is the key to juggling daily tasks. I have a calendar on my desk and a planner in my backpack. I schedule every little thing from when to go over my notes to the obvious such as homework and tests. There have been several studies about how handwriting has a way of helping someone remember something rather than typing it. Writing things down also gives you a visual image of how many things you can juggle at the same time. If you’re less old-fashioned, Google Calendar can be a great scheduling tool as well. Everyone, however, finds their own unique method eventually. As weird as it might seem, setting aside leisure time can be a big help too. While an actual social schedule doesn’t prove very helpful, striking some sort of balance between work and play can keep both from getting out of hand. Stony Brook officials practically drill getting involved with campus clubs into our heads from the first day of orientation. I have never met anyone on my college journey thus far who hasn’t been involved in a club or organization on campus. 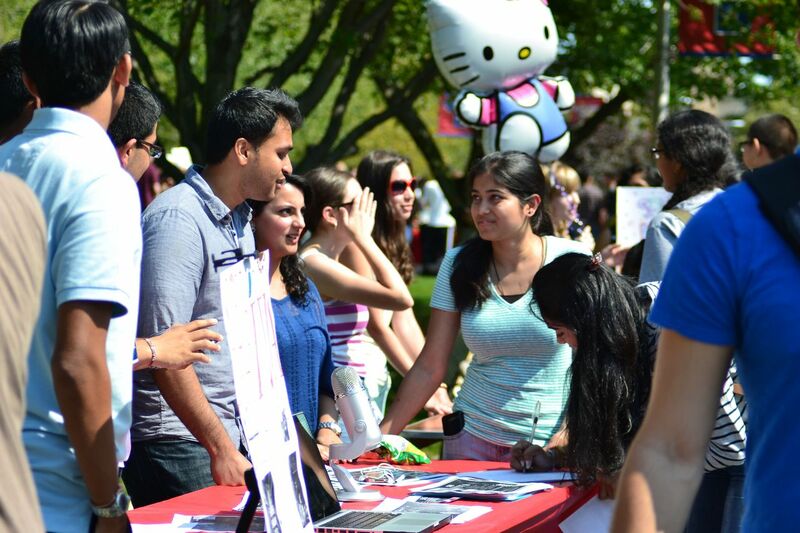 The first Involvement Fair is coming up this Wednesday, Sept. 5. It’s booked during Campus Life Time, when almost no one has classes, giving students an easy opportunity to get involved. Getting involved gives us a break from studying and a place to unwind from the stress of classes. There is also the obvious benefit of building our resume with all these extracurriculars for graduate school and future jobs. “Don’t just join the club that all of your friends are joining. My best advice is to join something that you’re passionate about. Also, you can try joining something outside of your major,” Rebecca Liebson, senior journalism major and news editor at The Statesman, said. It may be fun to have company with you when you study. But think about it; are you really going to get work done with your friend cracking jokes the whole time? This calls for finding the perfect study spot. Personally, mine is Starbucks. I get my drink, throw on my beats, bump music and grind out my work. I feel working alone rather than with my friends helps me focus and get less distracted. Some people find their serenity in the Main Stacks of the library or at their desk in their dorm room. The second part to this is forming the habits you utilize in your perfect study spot. Whether you listen to music and block the whole student body out, or you need pure silence as your guide to success, find whatever keeps you focused. How do you find this? Well trial and error. It will take time, but these habits will last you for the next few years you have here. “I like studying in the stacks and the atrium in humanities. The stacks is really private so if you need to buckle down and do work it’s great for that. In the atrium, there’s sunlight coming in so it’s a less dismal environment,” The Statesman’s editor-in-chief and senior journalism major, Kayla McKiski, said. I’m still playing the whole game of trial and error but that’s okay, because I’m a few steps closer to being even more successful. Take initiative and use these simple tips to become the most successful. Making mistakes is always okay. Just use it as a learning process and make the next few years at Stony Brook your best.